Courtney Summers fans are in for a treat! Two of her most critically acclaimed titles bound together for the price of one. In Cracked Up To Be, Perfect Parker Fadley isn't so perfect anymore. She's quit the cheerleading squad, she's dumped her perfect boyfriend, and she's failing school. Her parents are on a constant suicide watch and her counsellors think she's playing games...but what they don't know, the real reason for this whole mess, is that a horrible thing has happened and it just might be her fault. In Some Girls Are, climbing to the top of the social ladder is hard - falling from it is even harder. Regina Afton used to be a member of the Fearsome Fivesome. And just like the other members of this all girl clique, she was both feared and revered by the students of Hallowell High...that is until vicious rumours about her and her best friend's boyfriend start going around.
" Frightening and effective. Regina's every emotion is palpable, and it's impossible not to feel every punch--physical or emotional. "Publishers Weekly (starred) on Some Girls Are"
This story takes an unflinching look at the intricacies of high school relationships and how easily someone's existence can change. Fans of the film "Mean Girl" will enjoy this tale of redemption and forgiveness. 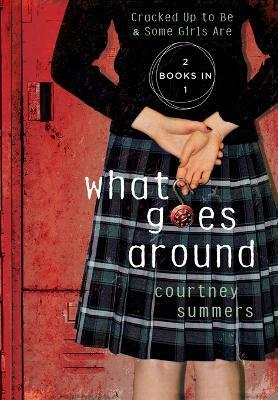 "School Library Journal (starred) on Some Girls Are"
Courtney Summers is the author of young adult novels including Fall for Anything, Some Girls Are, and Cracked Up to Be. She lives and writes in Canada, where she divides her time between a piano, a camera, and a word-processing program when she's not planning for the impending zombie apocalypse.